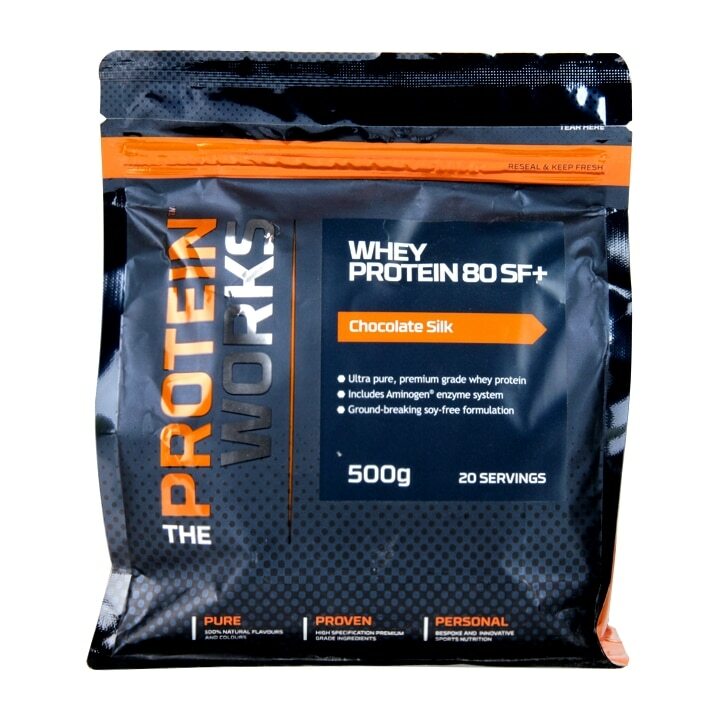 The Protein Works Whey Protein 80 SF+ Chocolate Silk is rated 5.0 out of 5 by 3. Rated 5 out of 5 by Jackie27hsj from Great quality! Highly recommend this product especially at such a great price. Rated 5 out of 5 by Paddymal from Excellent with buy one get one half price I got the vanilla flavour mix it as a smoothie after workouts. No after taste and seems to make the drink really smooth and not gritty when i use it with fruit. Rated 5 out of 5 by Mel66 from Chocolate Fix Another amazing tasting shake, certainly lives up to its name. So smooth and no powder after taste. I make mine with milk and frozen berries.